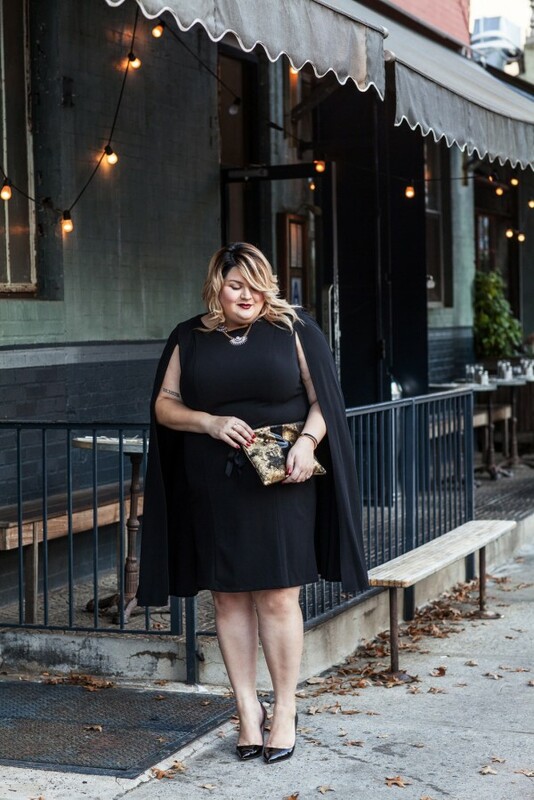 If you want to try on something creative, original and elegant, then I recommend to look through this post on how to wear a cape dress. You are going to see glamorous 1960's looks with flattering lines and clean silhouettes. That's a one stop piece looking completely chic and sophisticated. Every style looks ethereal and modern. In other words, cape dresses are on their high peak right now, so, if you want yourself a timeless regal look, then you better check out these superhero designs. In this compilation I am going to show you the most popular ideas on how to style them. Even plus size women can look simply amazing wearing these ensembles. All in all, if you are in search for a stand out look, then buy yourself a nice cape dress! Try on a black version with black tights, suede black pumps and spacious handbag. Finish the look by adding beautiful neckpiece. Go for this black version styled with thigh-high black boots. Add classic glossy black heels and crystal jewelry necklace. Can't say for sure but it seems like we see a matching dress and a cape. I am totally in love with this rich blue maxi cape gown. Go for this navy style and try it on with bright pink platform heels. Here we see a stunning blue version worn with studded belt, high leather boots and oversize rounded sunglasses. If you feel yourself like a Grecian queen, then try on this white colored floor-length design. That's a wow effect yellow number. Love the citrus hue and those shiny glittering accessories. Keep it simple and black. Go for this fabulous and festive style and wear it with your favorite heels. That's what I call an extravagant look. We see a red lace cover-up atop chic striped long sleeve top. Love the vintage inspired glamour. You can’t go wrong by wearing this awesome frock with your favorite over-the-knee boots. Another simple but elegant look: black cape-dress and black tights. Play with florals and butterflies. Love this sweet looking cape-dress.